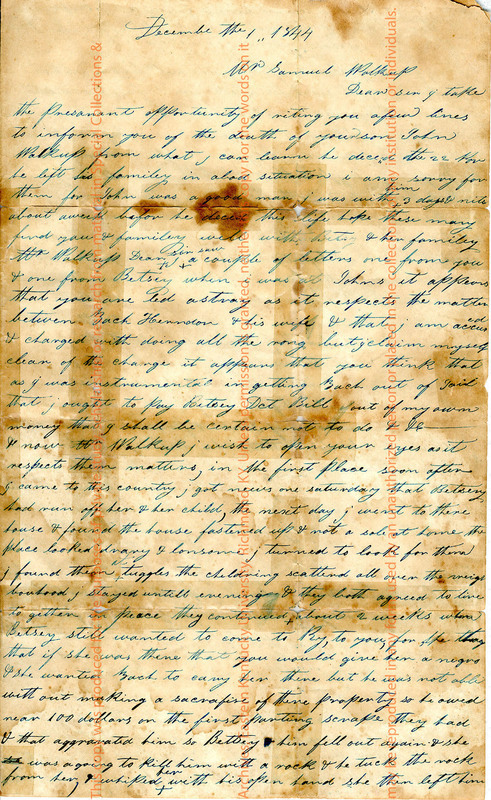 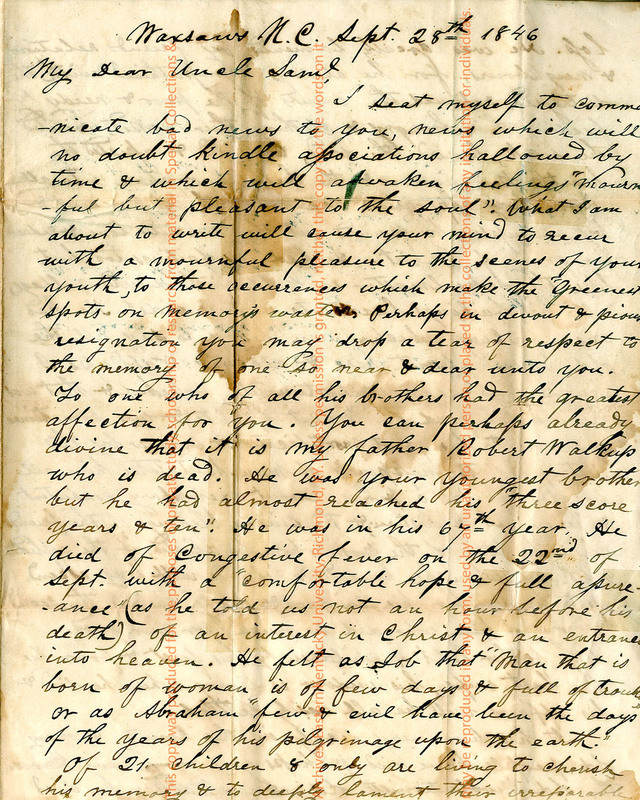 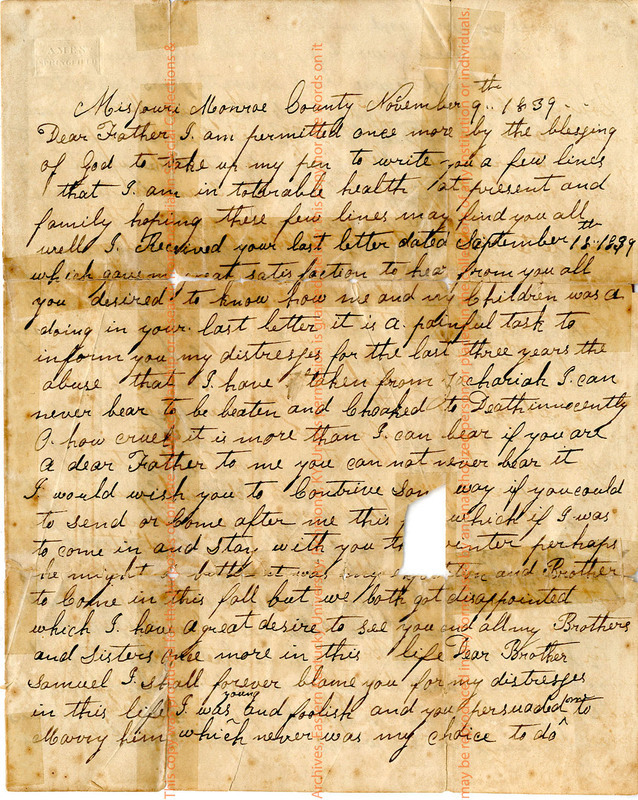 These family letters span two decades of antebellum history and are an excellent source for social, cultural and economic information from that era. 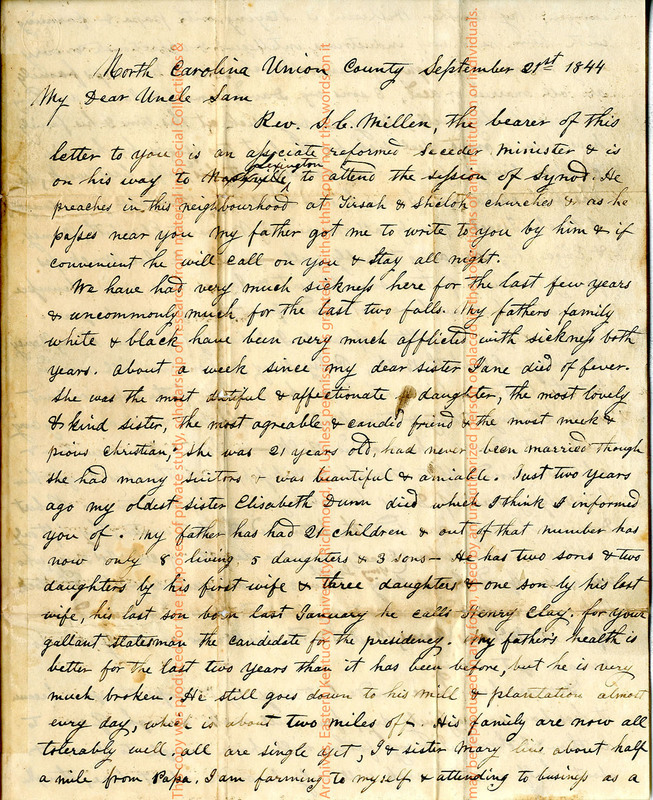 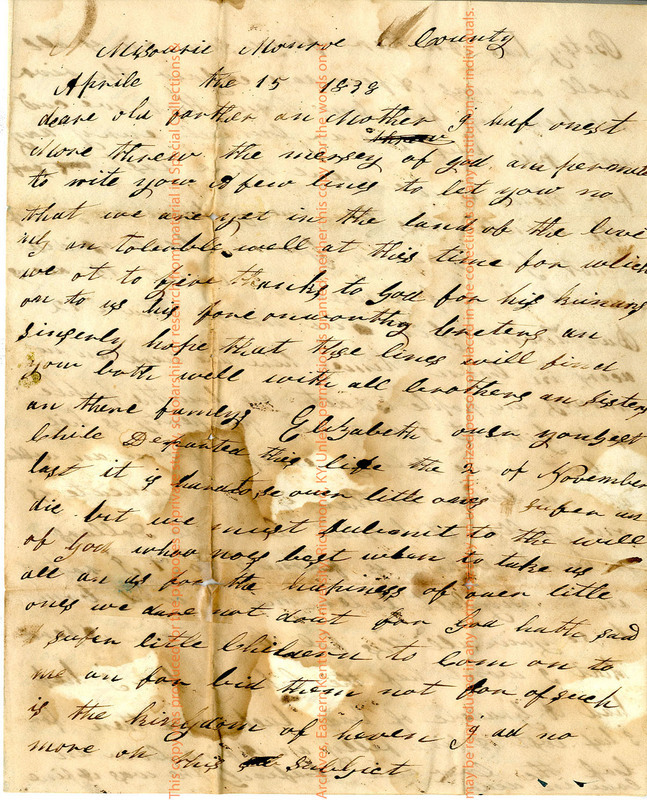 Slavery is discussed and the relationship between slaves and owners is revealed as the writer mentions family members, both white and African-American. 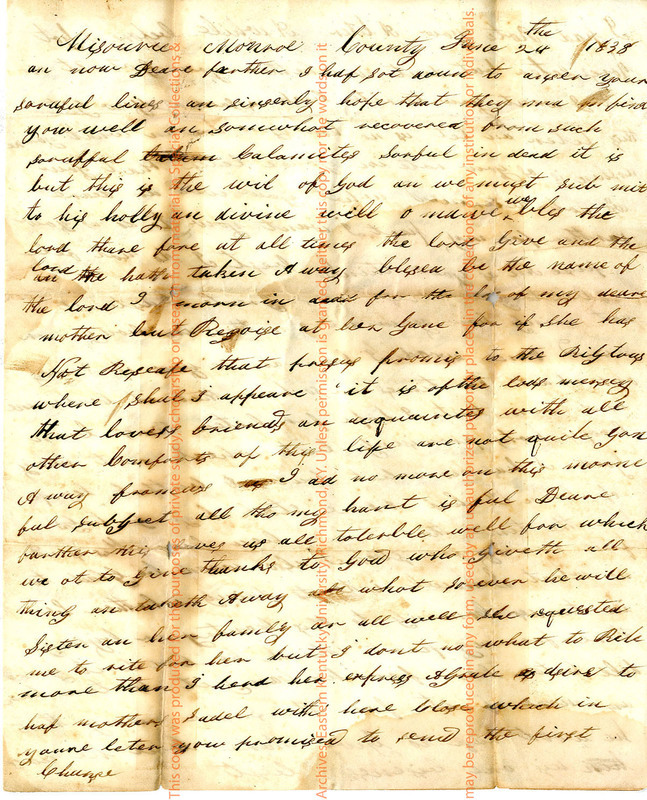 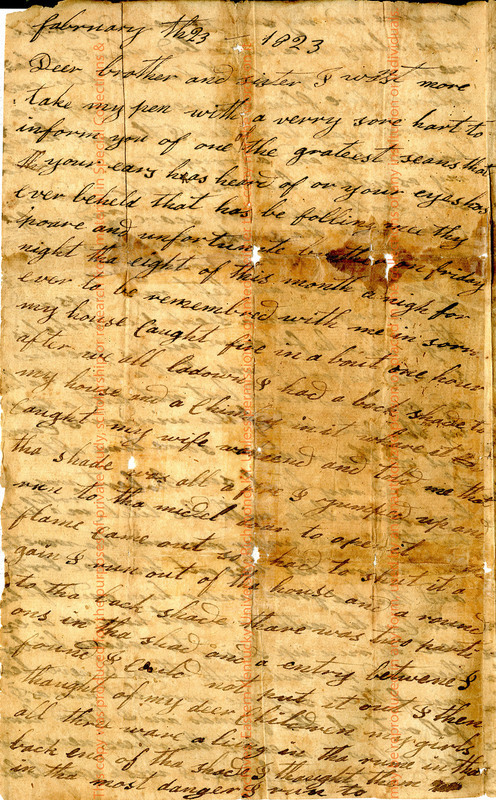 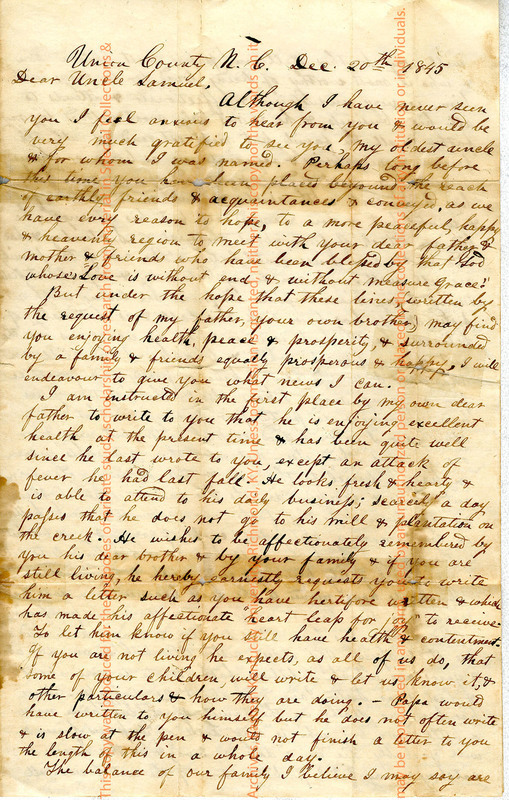 Domestic violence is revealed in the letters from Samuel's children Betsy and John. 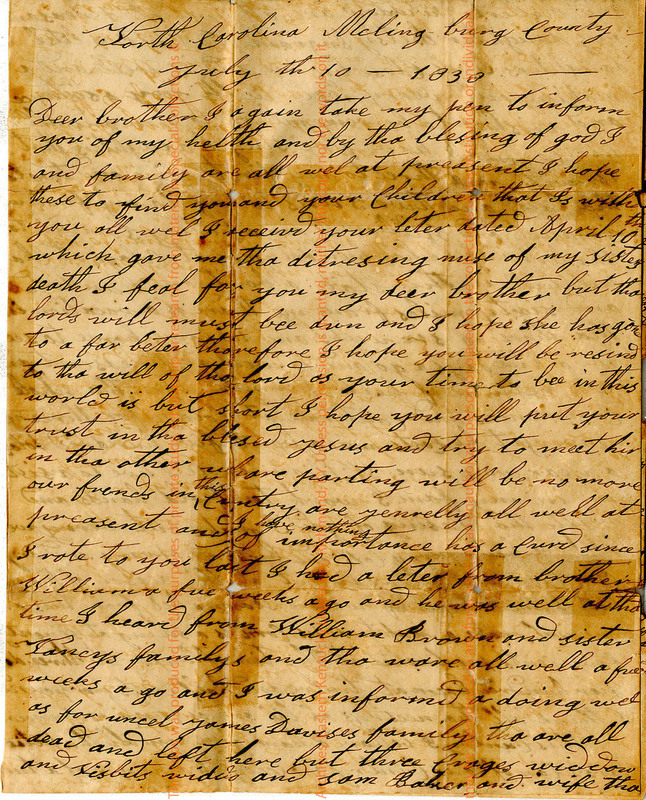 Politics are also discussed as well as prices of crops in Missouri and North Carolina. 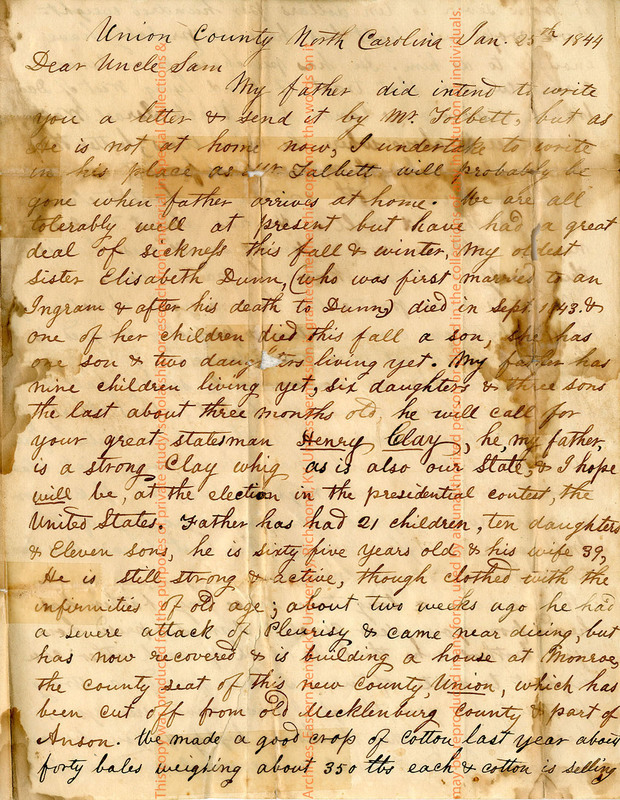 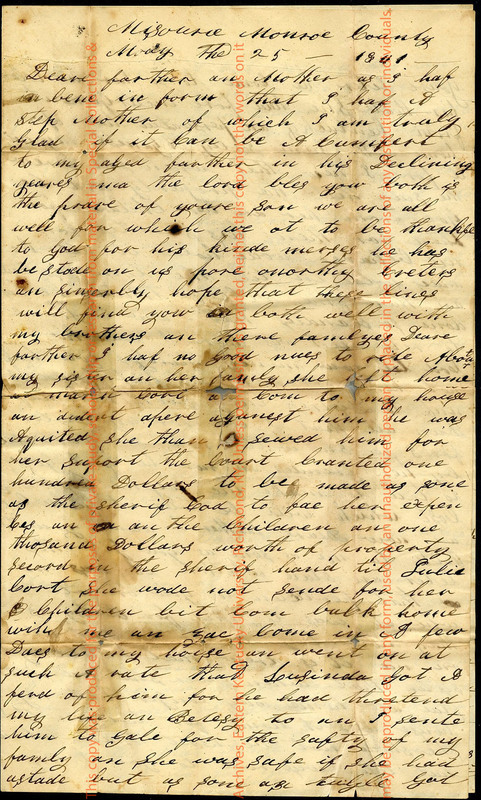 The letters also document several generations of the Walkup family in North Carolina, Kentucky and Missouri.